Step-by-Step Guide: How to Choose SEO Tactics Right? Home More SEO Step-by-Step Guide: How to Choose SEO Tactics Right? We know that SEO is a crucial part of any website promotion. What some of us don’t know is what tactics exactly to choose in order to promote a website in a most efficient way. True, there are so many things you can do for your SEO that it’s quite easy to become confused. But before you start worrying about that, let me tell you that choosing a right tactic is not as challenging as it might seem. Just read this guide to find out which SEO tools would suit your purpose best. While there is a huge number of tools and tactics you might use, they all could be divided into two categories. It isn’t necessary to do so; however, if you are overwhelmed with the possibilities and have no idea where to start, such classification can already simplify your life. 2- Tactics that are implemented outside your website: this includes guest posting, sharing links, and coming up with a content that will most likely be shared and distributed. Which one of these categories should be your primary focus? Well, it depends on the type of your website and on the size of your audience. For example, if you are an owner of a big website filled with diverse content and already having quite a big audience, on-site tactics may become your top priority. After all, you already have a certain reputation and all that’s left is to make your content more SEO friendly. If you are an owner of a smaller website or a blogger, then choosing the second category might be wiser for you. Off-site tactics are great for building an audience and driving more traffic to the site, so if your goal is to attract new readers and become more visible, that’s an option for you. We know that content is the king. But it doesn’t become the king immediately: in order to do so, it has to be SEO friendly, high-quality, and regular. Don’t choose quality over quantity: even if you offer new content once a week but its quality is really good, it would be appreciated much more than a bunch of mediocre articles posted daily. Pay attention to the details: not all your articles have to be long, but all of them need to have a strong title, tags, and meta description if you want to make the most out of it. And be sure to come up with a content plan and a posting schedule, and stick to it. The audience always likes when they know what to expect from you. If you are running a website, consider starting a blog on it. It doesn’t matter if your site already offers some kind of written content – you need to have a blog not to provide additional useful information but to speak the name of your company or brand. People like reading corporate blogs: they make the company look more open. Of course, the content you write for your blog has to be SEO optimized too. It is also good when your blog posts are written by several staff employees: in this case, your blog will have multiple voices and will be more interesting to read. This is one of the most complex tasks which often requires hiring a professional just for that. Technical aspects are not only about coming up with the list of the proper keywords – the whole site’s structure has to be SEO optimized to make it work better. Making the most out of your content and SEO is much easier when you have a clear strategy in mind. Try coming up with one: think about the types of content you can offer to your audience, about the types of promotion that seem the most appealing to you, create a content plan, and keep all your available resources in mind. Sure, writing high-quality articles will definitely benefit your website – but that’s not the only thing you can do to make this work. For example, you can create some kind of unique extra content, offering it to your audience in exchange for the subscription. And don’t forget about writing the content for the blog that encourages social sharing. It’s one of the easiest and cheapest ways to drive traffic to your website. While some websites charge for publishing guest posts, some of them don’t ask any money for that – so that could be a perfect opportunity for beginner bloggers or website owners who currently don’t have much spare money to invest into promotion. The good idea is to come up with a list of websites you would like to publish your articles on, and then start the outreach process. Even if you are focused only on one of these strategies at the moment, keep the other in mind too. It’s important to remember about all of the things you might use to make the most out of your SEO. 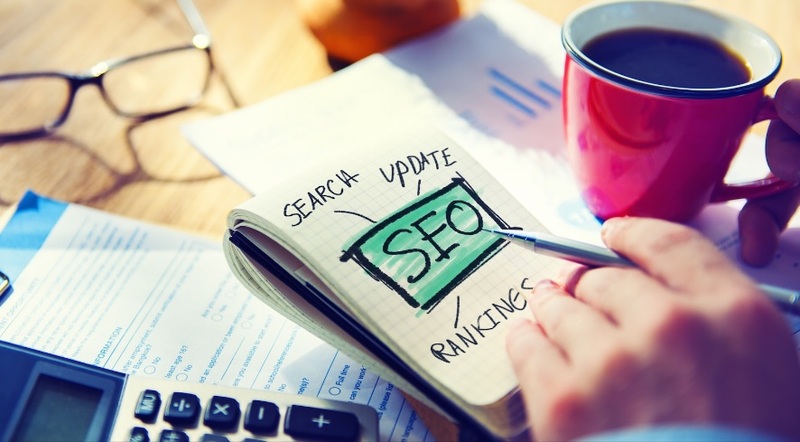 Creating and implementing SEO strategy requires a lot of efforts and planning – however, this doesn’t mean that this is impossible. If you focus on things you want to improve and keep in mind all the resources you currently have, it would be easier for you to come up with a proper plan for making your website or blog more SEO-friendly. So I hope that this article did help you even if a bit and wish you good luck with the implementation of your SEO strategy. Richard Nolan is a writer and a private tutor, sharing his experience in spheres of writing, blogging, entrepreneurship, and psychology. Richard writes for numerous blogs and gives useful tips.